The Plaza Deck features staterooms in categories 8 and 11, as well as the Grand Foyer, the Passport Bar, guest relations and the Grand Epernay dining room. 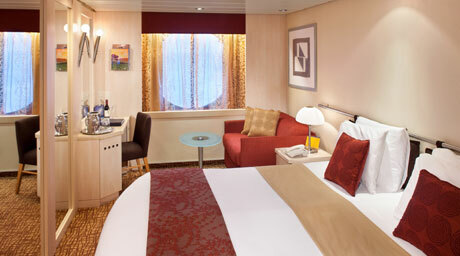 Window staterooms with a sitting area where you can kick back and relax after a day that has been as busy or relaxing as you want it. 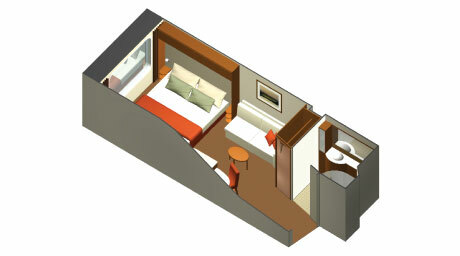 Stateroom: 177 sq. ft., Veranda: N/A Features: Ocean view window, Two beds convertible to queen-size, Vanity, Hair dryer, 32" LCD TV, Sitting area with sofa, Some cabins may have a trundle bed, Some staterooms in category 8 are wheelchair-accessible. 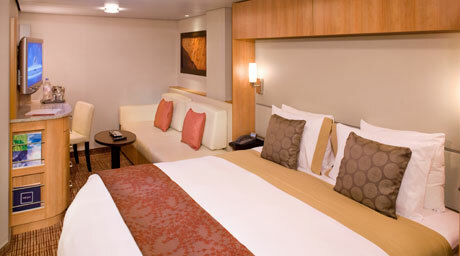 Stateroom with ample living space with a sofa and sitting area - a home away from home. 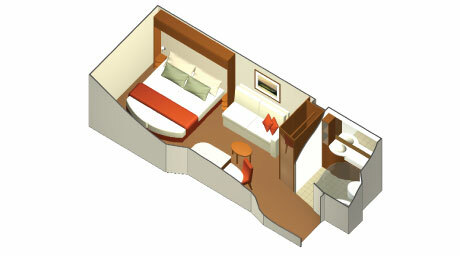 Stateroom: 183 - 200 sq. ft., Veranda: N/A Features: Two beds convertible to queen-size, 32" LCD TV, Vanity, Hair dryer, Sitting area with sofa, Some cabins may have a trundle bed, Some staterooms in categories 9 & 10 are wheelchair-accessible.